Trying to pick individual stocks is a difficult proposition for regular investors. Investors will face with infinite risk and low return with wrong stocks selection. Most investors can achieve the same result by using mutual funds. There are several advantages using mutual funds such as having good management, reduce risk with diversified portfolio, invest in other risky area, and more. Reputable manager or management team or professional analysts will devout many hours of study and research. Fund manager will analyze various stocks or bonds to invest in. Some mutual funds are also known to hire market experts to analyze their portfolio or divide their portfolio to co-managers & advisors. Analyzing various financial reports is not an easy task for investors; you need to sacrifice a large portion of your free time to get the good result. Unless you are willing to do this, then you won’t have as much information to make a decision as a mutual fund manager. Good managers are staying with the mutual funds longer. Long tenured managers typically have a high level of competence in running the mutual fund business or entity he oversees. Managers usually face steep learning curves when they first enter a new organization, making long management tenure a valuable asset. Another aspect to look is whether fund manager has confidence in investing in his/her own mutual fund. If the manager has a lot of own assets in the mutual fund, investors can rest assure about their investment choice as well. Lot of assets in its own fund mean the fund manager has high confidence in its long term performance. Finding this information will be difficult though. Diversification meaning can differ from one investor to another investor. 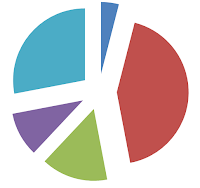 A typical investor thinks that if he/she has three or four different mutual funds, then he/she is diversified. During the down market, many people finally found out that their funds were not at all diversified. This may be caused by stocks or bonds in each fund holdings are the same. It is essential to have money in various assets, but it’s as important also to have as much diversification within the asset categories. For example, you want to have different assets in equity (stock) portion such as large cap stocks, mid cap stocks, value stocks, growth stocks, international stocks and emerging market stocks. The right diversification with mutual fund holdings requires that an investor own funds that invest in securities significantly different from one another. One of the popular choices of diversification is choosing balanced funds. These balanced mutual funds are investing in variety of assets classes such as stocks or equity, bonds or fixed income, and cash or money markets. It may even invest in other asset classes such as precious metals (gold or silver), real estate, convertible, preferred, etc. 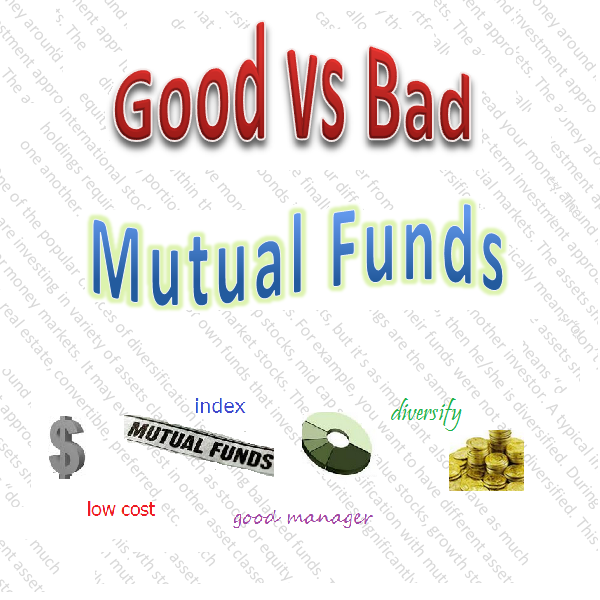 Cost or fee is another important way to select good or bad mutual funds. Many studies have shown low-cost mutual funds beat high-cost mutual funds in every time period. The highest expense ratio fees will reduce returns compare to mutual funds with the lowest expense ratios. These high-cost mutual funds were more likely to be liquidated or merged away. Almost every mutual funds charge investors for expenses. These expenses may include management fees, interest fees, legal fees, and other costs. The ongoing fees are typically expressed in a term known as the annual expense ratio. These expense ratio fees are subtracted directly from the fund's assets. The higher the fee, the less is left over for you (i.e. may lower return or fund performance). 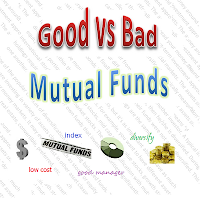 Index mutual funds are considered as low cost mutual funds. These index funds invest in various asset classes based on its index benchmark. There are 4 popular index mutual fund families such as Vanguard index fund, Fidelity index fund, Schwab index fund, and T Rowe Price index fund. When you visit mutual fund website, you will notice a print which states “Past performance does not guarantee future results.” This statement is really true. If you see a mutual fund has beaten the averages for 1 year or 3 years, it does not mean it will in the future. As a matter of fact, due to mean reversion the mutual fund is likely to do even worse than average. To prevent this chasing past performance, you will need to look at other factors as previously described. You may also find, the Top 10 Best Mutual Funds for 2012 and 2013.